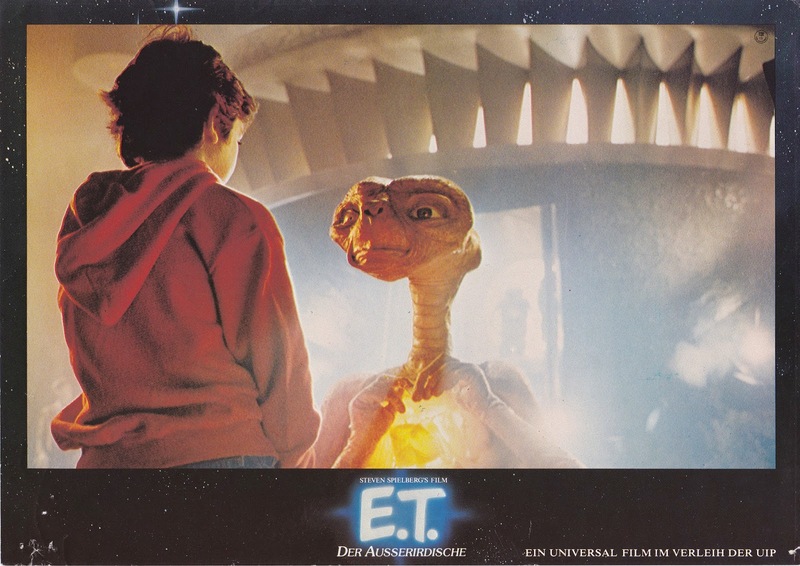 Throwback Thursday: E.T., film without a star ? 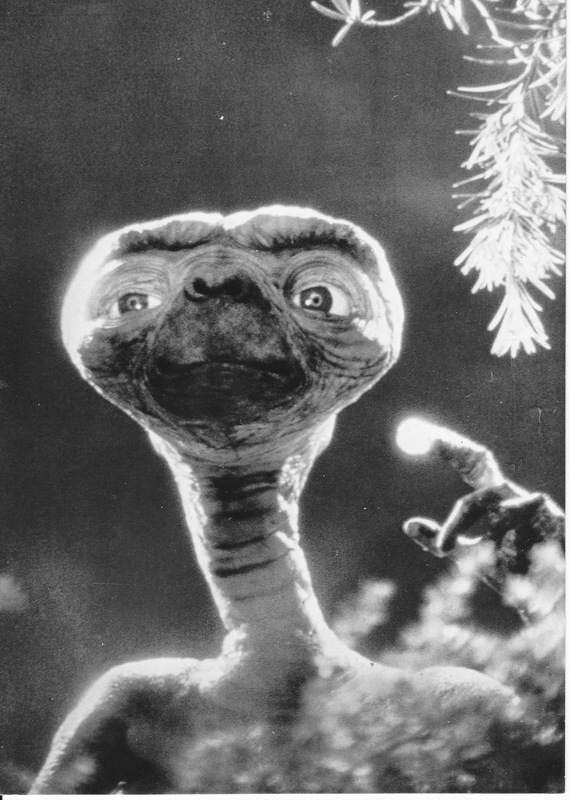 Even though the whole world knew how E.T. 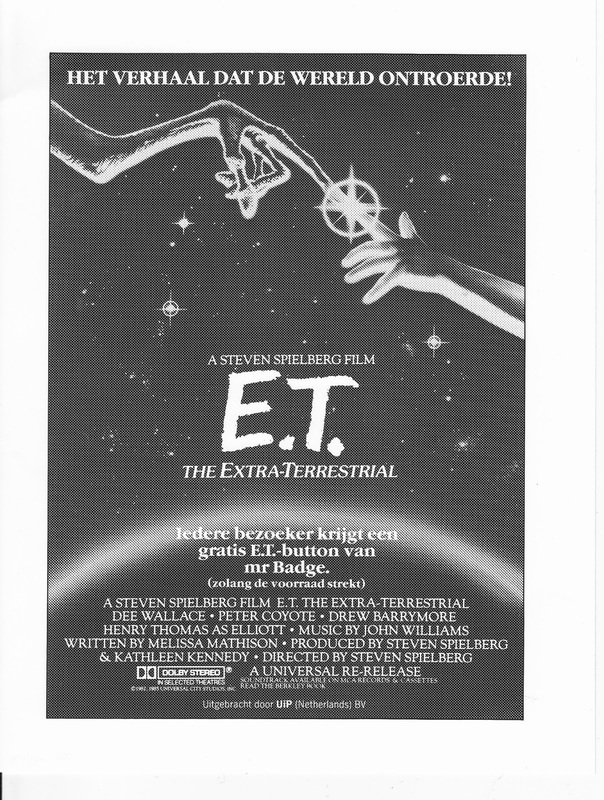 looked, when the film hit the theaters in 1982, It is very difficult to find a film still from that year, with E.T. 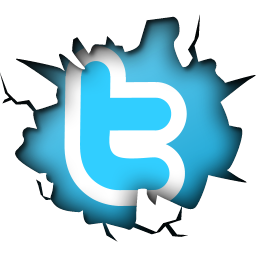 himself on it. 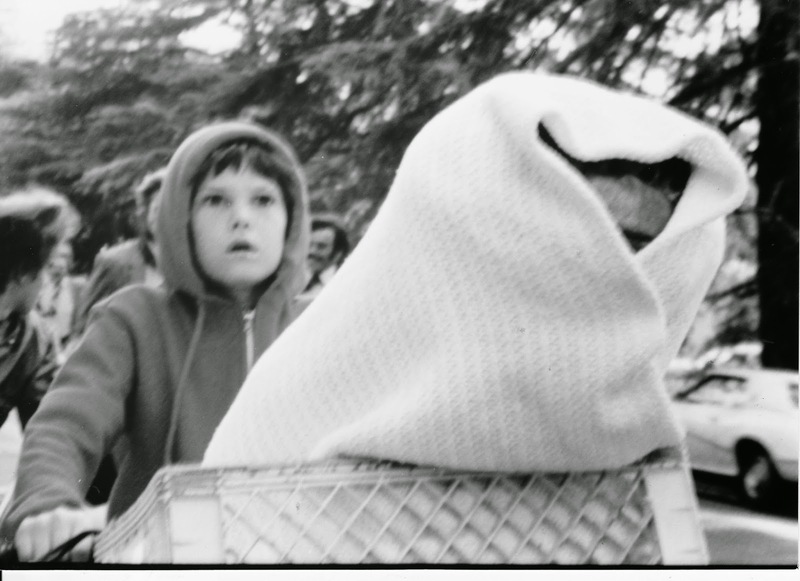 The fun part with E.T. 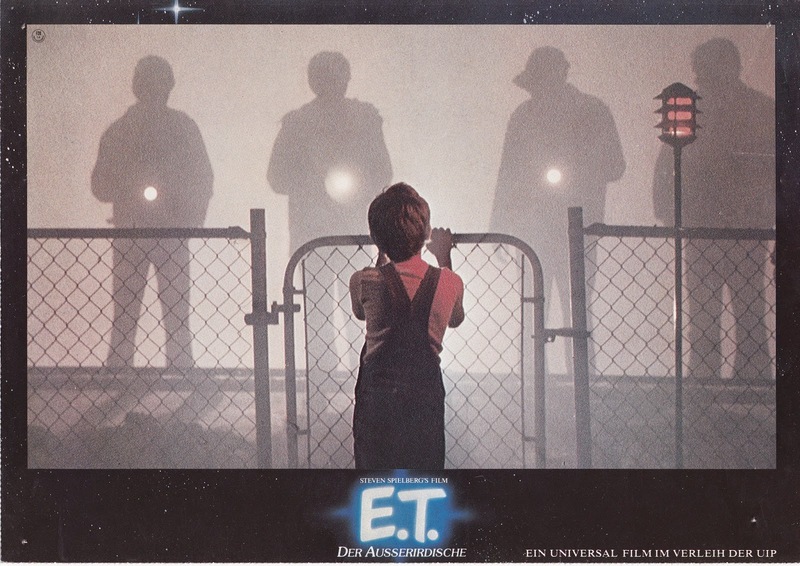 however is that the press had almost nothing but stills of E.T., whereas the movie houses couldn't show their patrons pictures of that little alien. but the stills could easily be torn apart. 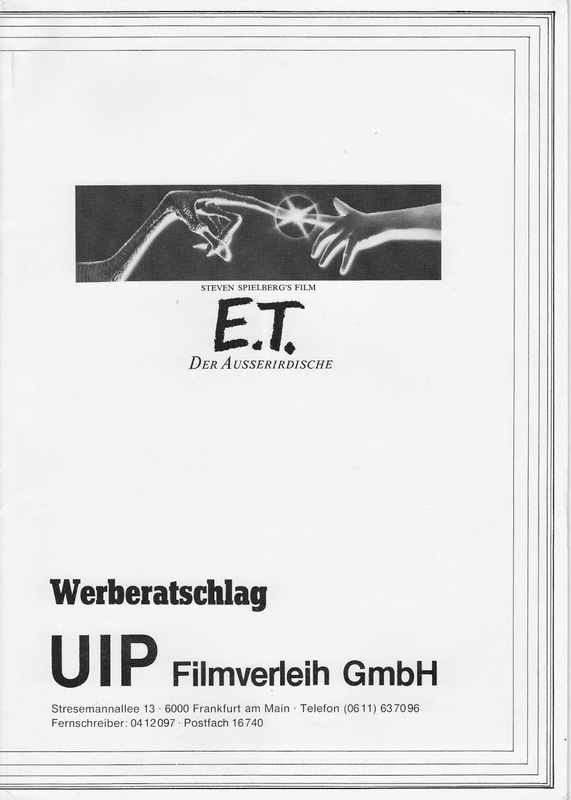 Funny enough that E.T. 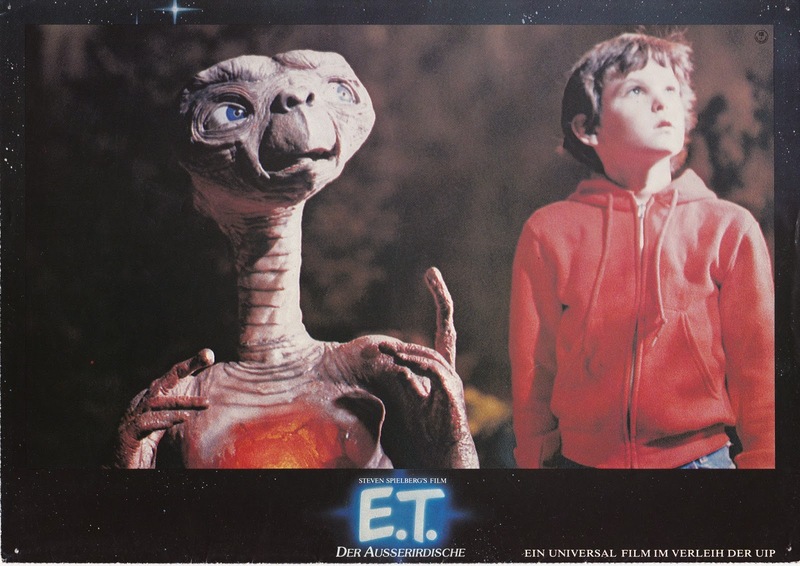 not only features prominently on these stills, they also used a promotional still of E.T. 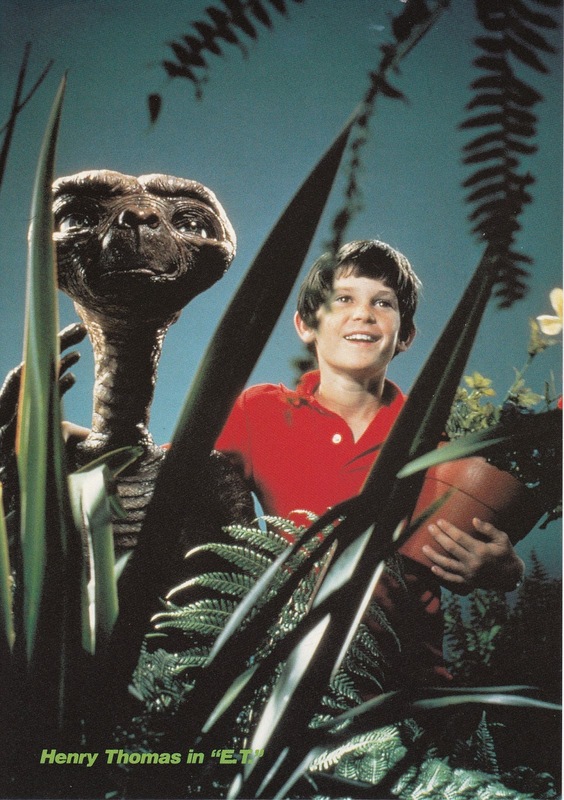 together with Elliot posing behind some plants as if it were an actual film scene. 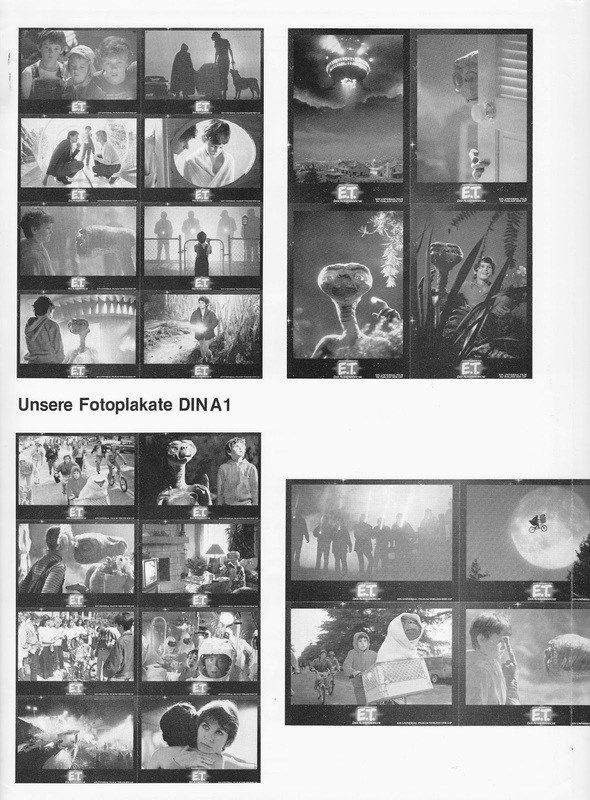 Even though the stills may have been rather colorful, the adds on the other hand were (in my opinion) rather dull. 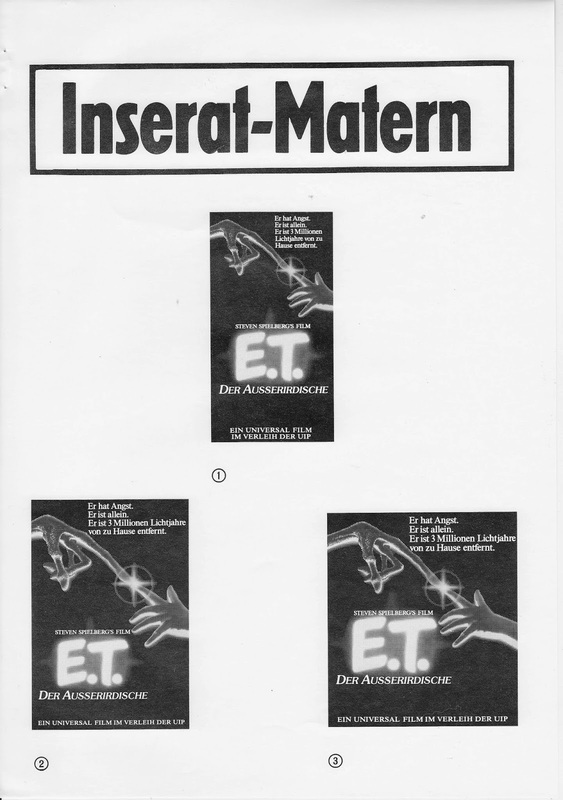 Instead of using the film poster as a background for the adds, only a part of that was used, just the hands of Elliot and E.T. touching each other. When the film got it's digital clean-up and re-release coinciding with its 20th anniversary in 2002, the add-design was 'slightly' changed. 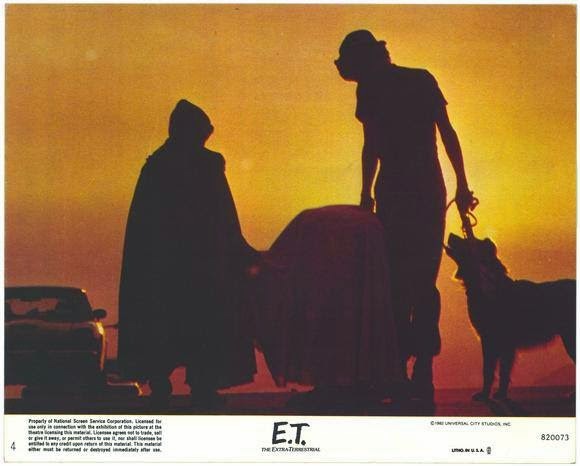 At first glance it looked as if only the shadow of E.T. and Elliot flying their bike had been added, but this time also the moon had been added into the background as to enhance the image of E.T. and Elliot (and making it a seemingly large image of the Amblin logo). 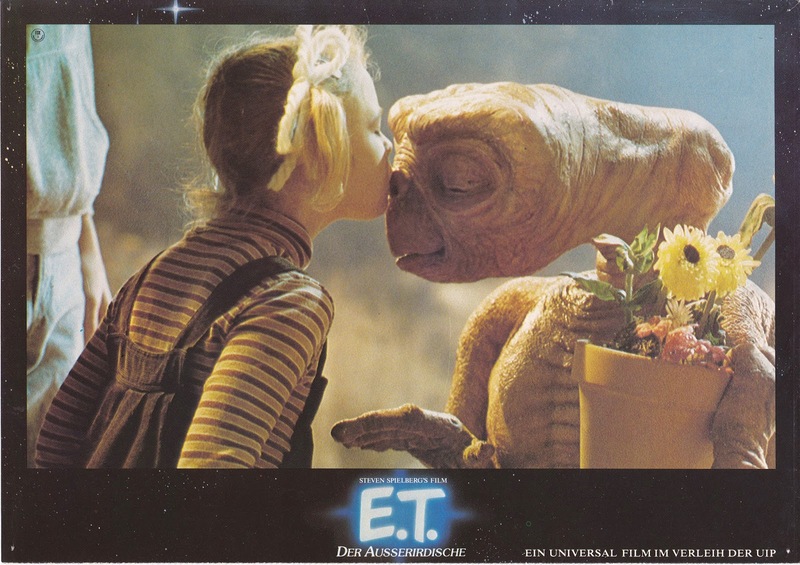 Funny thing here is that when E.T. 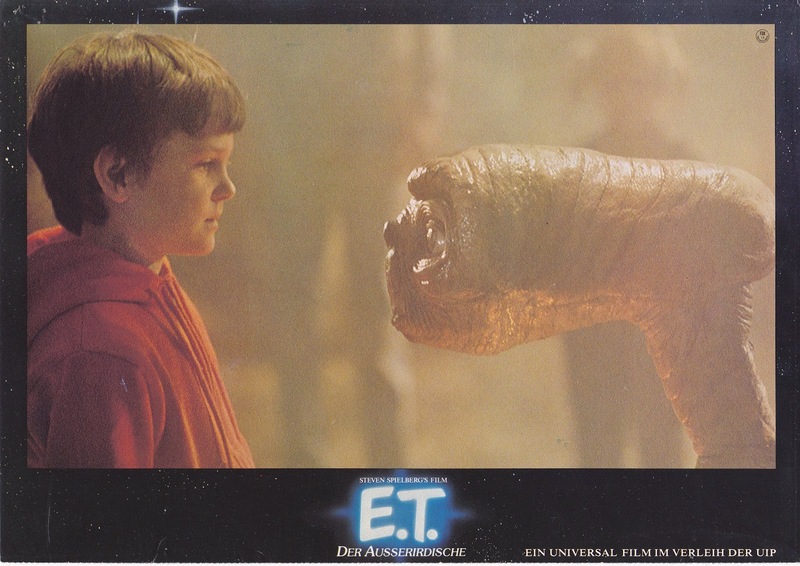 was re-released in 2002, E.T. 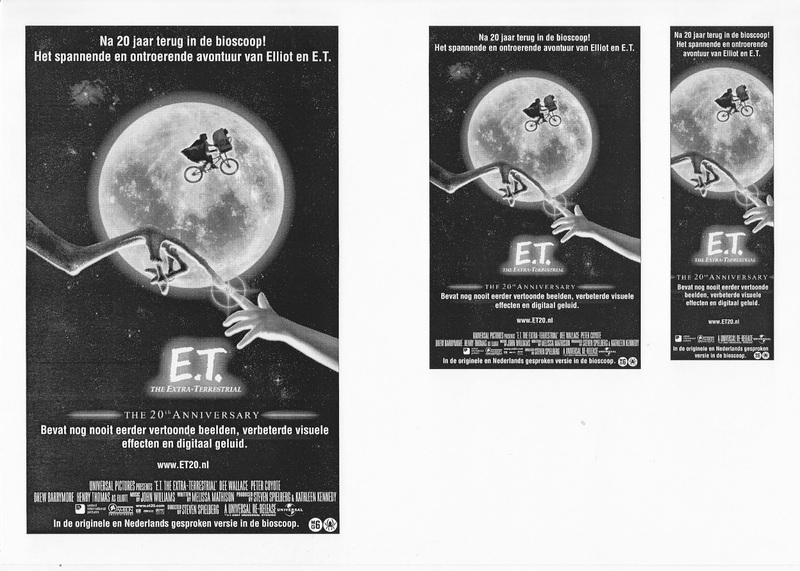 than did appear om some of the front-of-house-stills in cinemas, but now it was the press-stills, that hardly showed E.T. .
instead of those tiny black-and-white prints you saw earlier.